This is actually a super outdated post because Ted turned 2 a few months back but I haven’t had time to consolidate the photos and get them uploaded. Ted was really excited because he loves being outdoors and he loves balloons. 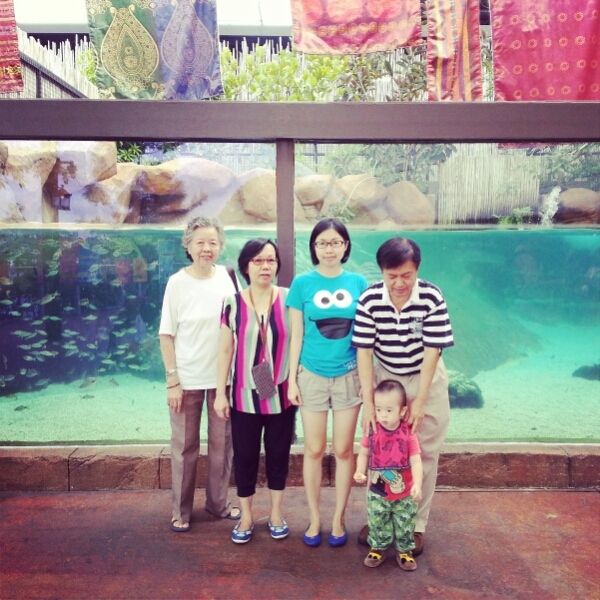 I decided to invite my family along together with the Great-Grandmother as they had never been to the River Safari. We bought him a balloon just for the day. 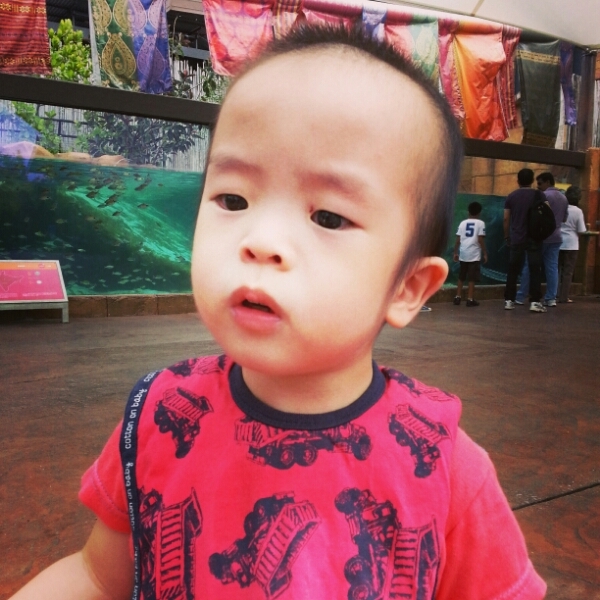 We thought it would be fun if he could take the balloon all around the River Safari. Unfortunately, balloons are NOT allowed in the River Safari park. We had to deposit our balloon with the staff at the counter. 😦 Ted was disappointed but he didn’t kick up a fuss. 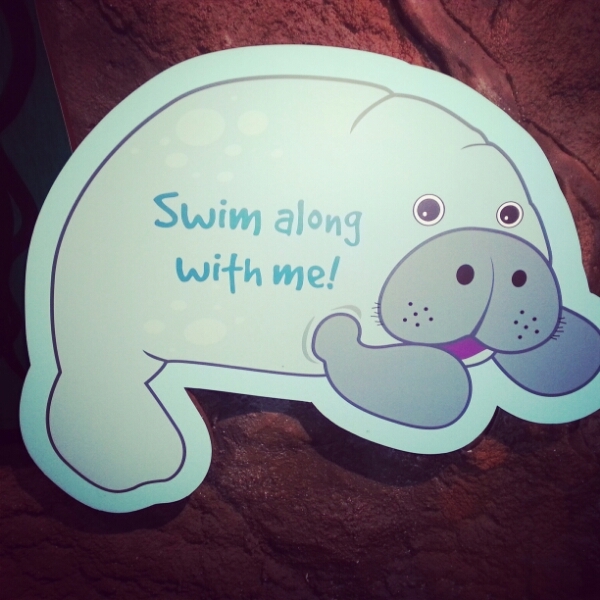 The River Safari is a pleasantly family friendly place. Most of the exhibits are housed in large tanks and there is plenty of shelter, including sheltered walkways built around them. This means that if we want to stop for a rest or in the event of rain, it is easy to find a nice shady spot to settle in. This is rather different from the zoo in which visitors are almost always out in the open, and the hot afternoon sun or an unfortunate rain shower could really spoil the visitors’ mood. We learnt about the difference between the various types of crocs. Ted taking a rest to have a munch on some bread. We saw some really large fishes and river animals. Ted was curious about almost everything. 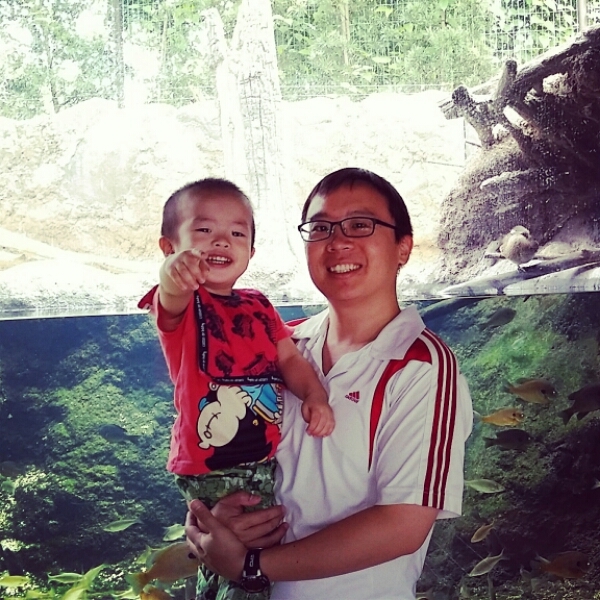 We made our way to the Yangtze River where the pandas were housed. 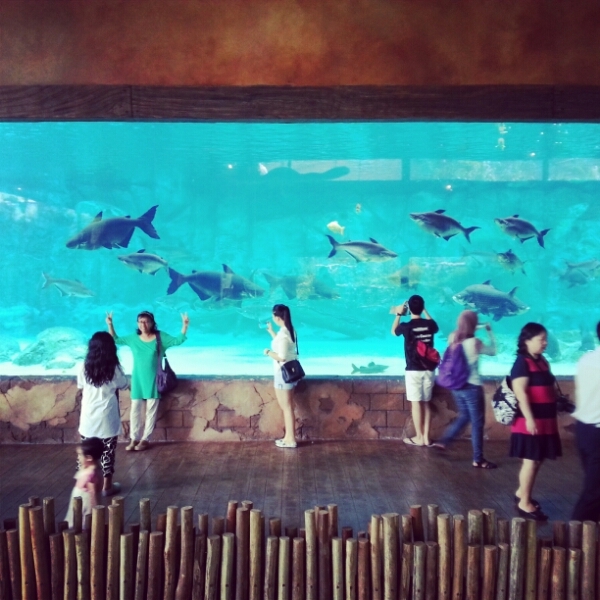 There is a large air-conditioned enclosure where the pandas live in comfort and have plenty to eat. Unfortunately for us, the pandas were not very active when we were there and were hiding out in an obscure, far corner of their enclosure. We tried pointing out the faint black and white figure hiding behind the rocks in the background, but it didn’t seem like Ted could make out the pandas. It was a weekday morning, so there weren’t too many visitors. A couple of us adults queued up for the boat ride they call the “Amazon River Quest”. I was rather intrigued by the way they designed the beginning of the journey, in which our entire boat was lifted up via a very large lift. The ride itself was, however, disappointing. Not only did we have to endure the hot midday sun throughout the 10-minute journey, we hardly saw any animals. There were many signs indicating the name of the animals we were supposed to see, but most of them were probably napping somewhere in the shade, and away from the sweltering heat outside. It was essentially a boat ride to see animal names (and their sponsors). It was a rather disappointing trip for the adults but I think it was enjoyable the the toddler who basically just enjoyed the running and the walking. I probably won’t be back here anytime soon.